Pam's TNR Blog: Pam's TNR Blog - Thank You Harry! Pam's TNR Blog -Thank You Harry! 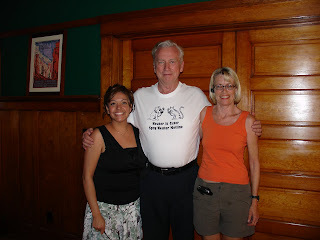 The Animal Defense League of Arizona's Spay Neuter Hotline lost a good friend today-Harry Bartel. Harry found the Hotline through extraordinary volunteer Pam Kalish. Harry lived in Chicago, but had business in the Valley. Harry loved cats. We are extremely grateful for Harry's generous donations, but more importantly, he inspired everyone with his passion for our Trap Neuter Return Program for feral cats. He believed in our program, staff and volunteers and what they could do. He encouraged all of us to do more. He also worked side by side with volunteers. While visiting the Valley, he jumped in to help at a clinic. Harry helped volunteers raise funds for the Hotline, by organizing garage sales. Thank You Harry! We will miss you so much; but don't worry, you inspired us. We will keep it going! If you were lucky enough to have met Harry, you know that he is someone you will never forget! His enthusiasm, personality and charisma would fill a room in an instant. Kinda like a sun beaming through the clouds. Though I may not have known Harry as long as so many others, I am thankful to be one of those lucky few who had the pleasure of knowing and working with him. Thank you Harry for your dedication to making the lives of so many animals, a better life! Harry came to a clinic here in Tempe earlier this year. After writing a check to ADLA to match garage sale proceeds, Harry helped volunteers as our groggy cats came out of post-op to recovery. One of our small kittens was infested with fleas. Post op did as much as they could, but the kitten was crying in pain as the fleas became active with the medication. Those of us in recovery gladly filled in as two experienced volunteers gave the kitten a bath in Dawn dishwashing liquid. (Yes, I learned that day that Dawn is one remedy for fleas.) After spending forty-five minutes picking off dead fleas, the kitten was brought to recovery wrapped in a towel. The kitten needed to be held and watched. Harry volunteered freeing up the rest of us to work with the other groggy cats. He cuddled and held that kitten for more than an hour and that kitten loved the attention finally falling into a peaceful sleep. Harry suggested the kitten be called Iggy. One of the volunteers fostered the kitten (sent me a cell phone pic of Iggy for my screen saver). The second volunteer adopted Iggy. I'll never forget that big man with his big heart. We're all going to miss you, Harry. Hi! I do love You my dearly friend, and I will miss you a lot. But You will continue in our thoughts and hearths. And live forever with all the work this great people do. Thank You again for be part of my life and another people as well, you always give your best. "THE GREATER"